Engine fluid : air, azote, etc. Lightweight, sturdy, compact, easily transportable, well suited for building sites where large pumps cannot be installed. Easy and quick maintenance. Fully equipped, ready to use and CE certified. The SPC 90 pump transforms the LP component into an HP component through the engine fluid. 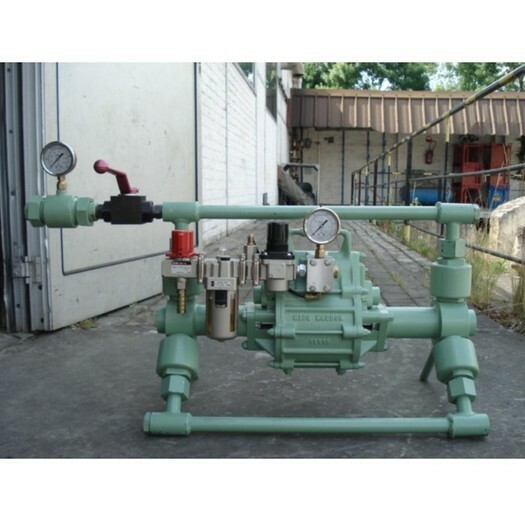 The pressure can be set thanks to a manual pressure regulator.